of her capacity for love. 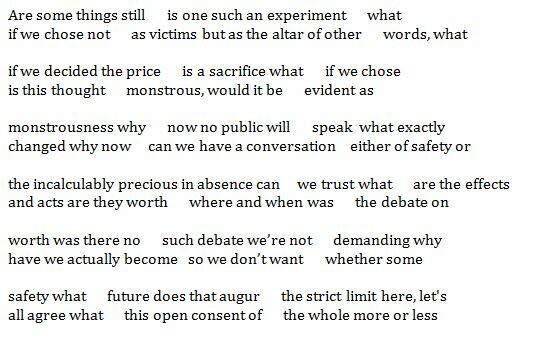 Author’s Note: “Are We Our Asking” is an erasure carved from the constraints of David Foster Wallace’s article “Just Asking,” which was published in the November 2007 issue of The Atlantic Monthly. “Corrections” follows the OuLiPo constraint of Haikuization, which calls for the writer to carve a haiku out of a source text. In this case, I used the entirety of Jonathan Franzen’s The Corrections. 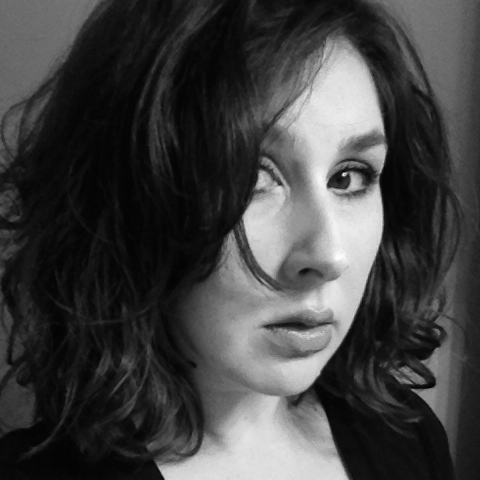 Emma Bolden is the author of Maleficae, a book-length series of poems about the witch trials in early modern Europe (GenPop Books, 2013), and medi(t)ations, a book-length poem forthcoming from Noctuary Press. She’s also the author of four chapbooks of poetry — How to Recognize a Lady (part of Edge by Edge, Toadlily Press); The Mariner’s Wife (Finishing Line Press); The Sad Epistles (Dancing Girl Press); and This Is Our Hollywood (in The Chapbook) – and one of nonfiction – Geography V (Winged City Press). Her work has appeared in The Rumpus, The Toast, Prairie Schooner, Conduit, the Indiana Review, Harpur Palate, the Greensboro Review, Redivider, Verse, Feminist Studies, The Journal, Guernica, and Copper Nickel, among other journals. She was the winner of the 2014 Barthelme Prize for Short Prose from Gulf Coast Magazine, the Spoon River Poetry Review’s 2014 Editor’s Prize Contest, and the Press 53/Prime Number Magazine 2014 Award for Flash Nonfiction. Her work was chosen for inclusion in Best Small Fictions 2015 and Best American Poetry 2015.